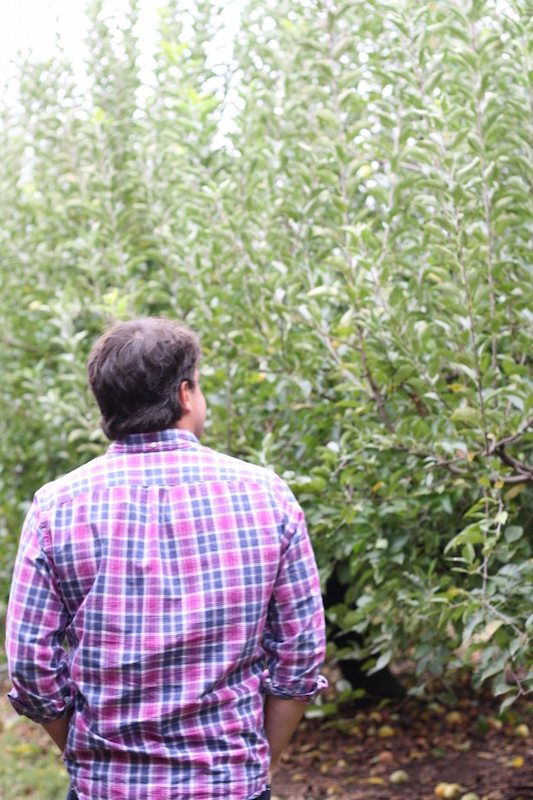 What fall bucket list doesn't include a trip to an apple orchard? This past weekend, I put on my wellies and my cable knit and was off to the farm! Apple picking is something I've always wanted to do. Growing up in northeast Georgia, the apple farms were always within a short drive, but we never went to pick the apples ourselves. Once I got to be an adult, I realized pretty quickly it was an activity that I needed to participate in, and this year was the year I finally got to cross it off of my fall bucket list. This past weekend, Hunter and I braved the constant rain and headed north to Ellijay, the capital of Georgia apple farms. There are countless orchards in the area, and we vacillated back and forth trying to decide which to head to, but after reading several reviews, we decided on BJ Reece. BJ Reece is known for their family atmosphere with lots of kid-friendly activities, but we had a blast just the two of us. Most of the farms in the area require a tractor ride to get to the picking orchards but not BJ Reece. We were able to walk right into them from the parking lot. Pretty neat (and convenient)! As of Saturday, it had rained for several days, and the ground was super saturated, so I wore my Hunter boots paired with trusty denim and a thin cable knit sweater from Nantucket Brand. Nantucket Brand is your ultimate shopping stop for all things nautical and preppy; right up my alley for fall fashion and beyond. Having a staple sweater like this in your closet is key; you can easily layer it as the temperatures turn colder, but it's perfect for autumn days that are chilly in the morning and warm in the afternoon. I did bring a blanket scarf which turned out to be entirely unnecessary, but a girl can dream! 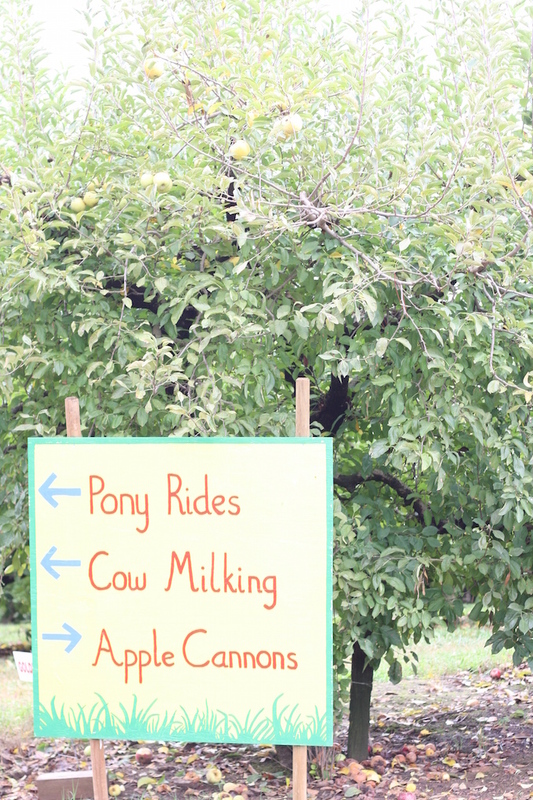 BJ Reece has two orchards along with a huge apple barn full of apple goodies and farmer's market treats. And, if you don't fill your bag in the orchard, you can go inside and fill-up with other types of apples. We scooped up a few more apples and lots of delicious apple-inspired goodies (like apple cider donuts) before heading home. Next farm-adventure? Pumpkins! That sweater looks wonderful on you! Totally inspired to go apple picking - yay fall! Super fun! I haven't heard of BJ Reece! I haven't been apple picking since I was like 9, so needless to say I need to relive my childhood and do this this year! Thanks for the inspiration! PS your pictures are amazing! Whatever you're doing, keep it up!